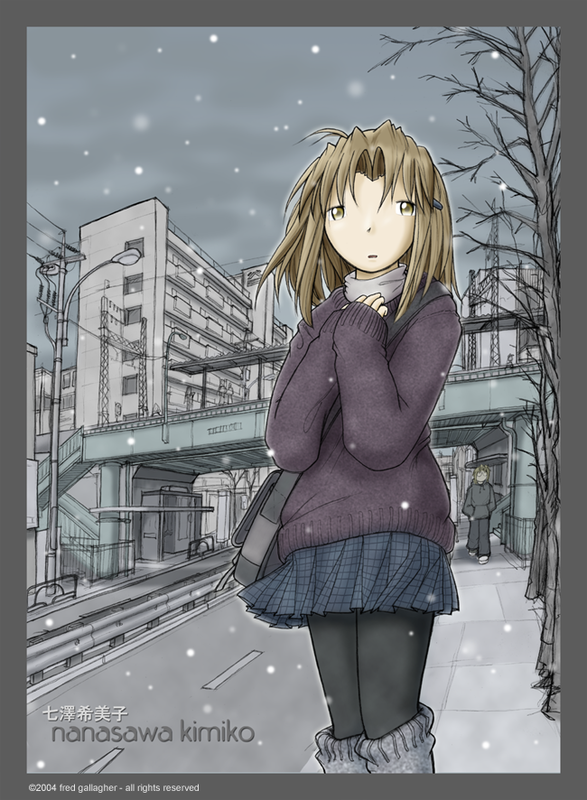 I've been working on some new poster designs for the MG store, and this is the first of them - i have wanted to do a Kimiko in Snow kind of poster for a while, and this one is actually coming out pretty good. I'm posting it today as a DPD to see just how much everyone hates it. ^^;; I've been trying to get a softer, more rendered look than I usually get. Been cutting my teeth experimenting with photoshop to hlep me add a little more life to my usually very dully colored images. 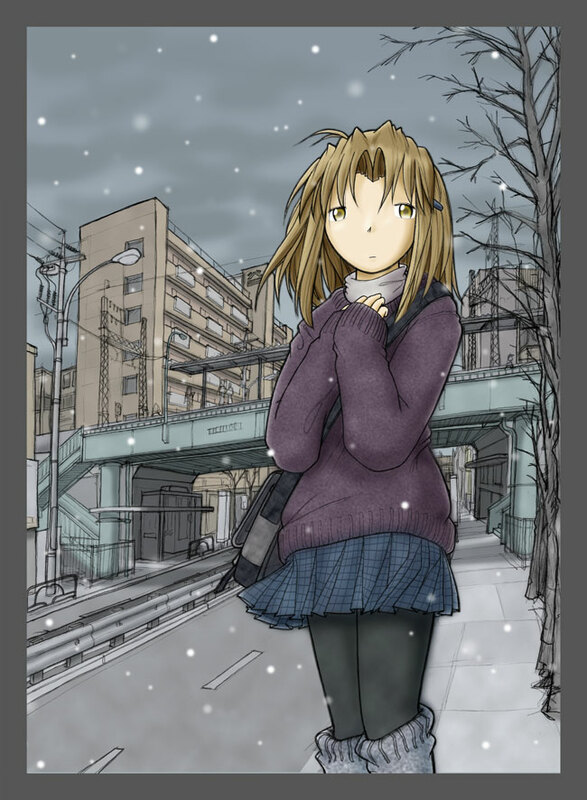 We will be printing posters of these - how many we get depends on how people react to this ^^;; I haven't offered a poster like this for Megatokyo - it really does speak strongly to one side of Megatokyo, and to Kimiko and Piro in particular. I'm kind of nervous about this, but we'll see what people think :) I really am not sure if people are interested in this kind of mood to put on thier wall. The background is actually taken from photographs of Tokaido station that i took while visiting MT locations in tokyo. I had it backwards, the rail line goes OVER the road, not the other way around. :) Kimiko and Erika live in Tokaido. The station is up and to the right from where Piro is standing. Its a little confusing, but the green thing in the foreground there is a pedestrian bridge which is right next to the rail bridge, and the station goes OVER the road (you can see the canopy). Neat stuff really.